Welcome to another post from our monthly funding statistics series. Here, we talk about the most popular investment methods used by our customers in January and how this has changed since the previous month. 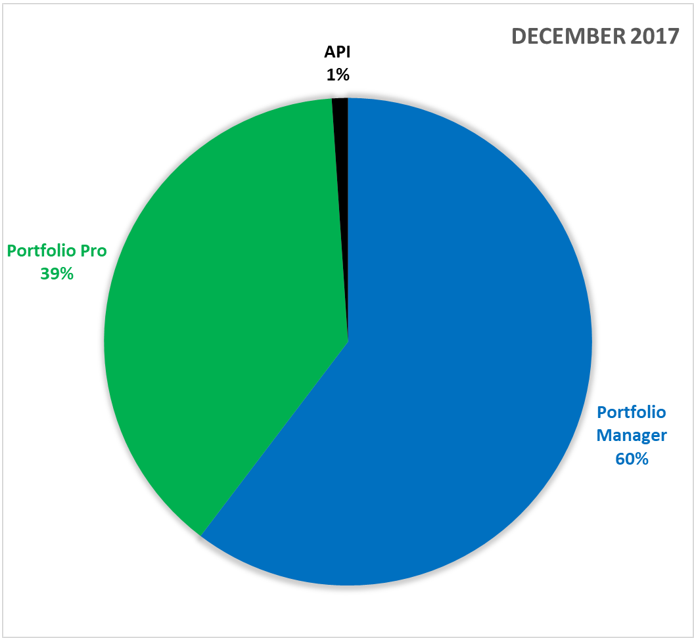 Following December’s trend, Portfolio Pro has continued to storm ahead and the percentage of investments made through the tool have increased again. Now standing at 41% of the total investments, the Portfolio Manager has decreased in line with this and accounts for 58% of the total, 2% less than December. A possible explanation for this is investors have decided to become more active with their investments strategy and trial Portfolio Pro in the new year. The percentage of investments made through the API stayed static at 1% of the total, due to the technical skills required for this option we do not expect to see this fluctuate on a monthly basis, as seen with the other investment options. What is your favourite method? Let us know in the comments below.